Students spend hours a day at school and deserve a safe place to study and learn. Pests threaten the the safety and health of students. 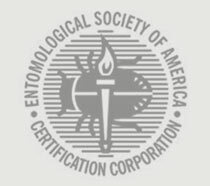 Mice, cockroaches, and stinging pests must be eliminated and that’s why we take a proactive and scientific approach to pest management in schools. 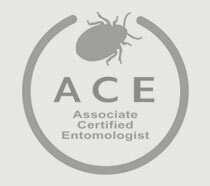 Learn what it's like to be pest free. With our comprehensive approach to pest control, we’ll show you a better way to get rid of those pesky pests and keep them away. Proactively prevent pest infestations and protect student’s health. We do this by proactively inspecting, finding pest vulnerable areas, finding pest issues, and eliminating them before they become widespread. You don’t want to wait for problems in schools. Safety is key when working around children. In schools we want to rely heavily on non-chemical control methods like exclusion, sanitation, and fixing storage practices. Green pest control services do not mean no pest control services, in fact green programs generally require more frequent visits by pest professionals so we can keep a close eye on things. Protect your students, teachers, and schools. Our school pest services are effective and focused on non-chemical control methods. Schools have received a lot of pressure to adopt IPM programs, but IPM is often not well understood. IPM does not mean less pest control services, but instead means that the pest management approach will adopt short and long term strategies and utilize non-chemical controls that get long term results as part of the solution. We can help schools create effective IPM programs. You decide if Thorn is a good fit for your school. No pressure. We are here to help if you need and answer any questions you may have. Choosing the right pest management company is an important decision. Best the best in your district.